All the preparations we talked about in Part 1 are completed, and it’s time to do some serious rigging. The first model we’ll tackle is the 210K, which is the first to have tubular main gear legs but still retains the engine driven hydraulic pump of previous models. The 210K model begins with s/n 21059200 and ends at s/n 21059502. It’s a good idea to ensure the gear system at least operates prior to beginning a rigging check. During the rigging process there will likely be several items found and adjusted which may affect other operations. Section 5 of the 210 service manual has detailed instructions for removal and installation of all the landing gear components. Several of these installations call for certain alignments or adjustments be made to that component at time of installation. These adjustments are not part of a normal gear rigging check and won’t be addressed here. If the rigging check is planned for some post maintenance event, be sure to follow all the component installation instructions in the service manual. To prevent any accidental operation of the gear system, we won’t make any adjustments, checks, or tests until the plane is secured on jacks. There’s just no reason to take a chance on someone moving a lever at an inappropriate moment and ruin everyone’s day. paragraph 5-212 Rigging squat switch. Since the system won’t begin to operate until the squat switch is working, we’ll start our rigging check there. Be sure the switch plunger is clean, allowing freedom of movement. With the plane on jacks, the strut will be fully extended, which should be five inches of chrome strut tube exposed. Measure the exact amount of exposed strut so you’ll be able to detect when it’s compressed between 0.12” and 0.25”. The nose of the plane can be lowered with the two wing jacks very slowly while monitoring the strut compression when the nose tire contacts the floor. When the switch makes contact, the gear select solenoid retracts, allowing the handle to be moved. The solenoid makes a faint audible “click” when it operates which tells you when to stop lowering the plane and measure the strut extension. Adjust the position of switch as needed. 5-214 Rigging gear handle lockout. The ultimate function of the squat switch is to ensure the select handle lockout plunger is in place to prevent the pilot from moving the gear handle toward the up position while the plane is still on the ground. Ensuring this plunger does its job can save a lot of grief and embarrassment later on. paragraph 5-213 Rigging gear handle up-down switch. The gear select handle up-down switch is next in line because it forces the gear doors to operate, which must happen prior to any gear movement. Having the gear doors removed per the Uvalde STC doesn’t negate the requirement for this operation. Power to the gear door solenoid keeps hydraulic pressure to the door-closed side of the door actuators. Whenever the select lever is moved to a position opposite that of the landing gear, power to the solenoid is interrupted and the solenoid relaxes to the door-open position. It’s important to note that anytime power is removed from the door solenoid and hydraulic pressure applied, the doors open (turning off the battery master, pulling the circuit breaker, totally losing electrical power for any reason). paragraph 5-187 Priority valve adjustment. This is the value that determines when hydraulic pressure is diverted to the landing gear after the doors are open. In truth, the system never knows whether the doors are open or closed, it only assumes. When the position select lever is moved from down to up, the system pressure builds to the 750 to 800 p.s.i. mark. The design is such that in any normal situation the doors will be fully open by the time the pressure passes this mark. Getting this setting correct is important to the proper sequencing of events. It’s a real problem when the gear moves before the doors are open. paragraph 5-188 & 5-189 Handle release adjustment and check. This adjustment should only be attempted if one is using a proper hydraulic mule with a calibrated pressure gauge. Getting the adjustments wrong can cause excessive pressures and possible damage to the power pack. Note: For rigging of the landing gear and associated locks, access is much easier if the gear doors are disconnected. The doors and their actuator arms should be supported in such a way as to keep them from fouling in the gear operation. SE960 gauges are a must. If these gauges aren’t available, don’t bother going any further in the rigging process. 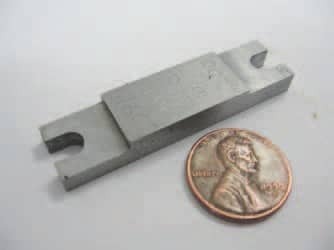 These aren’t tools that are easily fabricated in the field, and Cessna won’t provide drawings. They aren’t terribly pricey, and purchase would likely cost less than fabricating, assuming you count your time as cash. 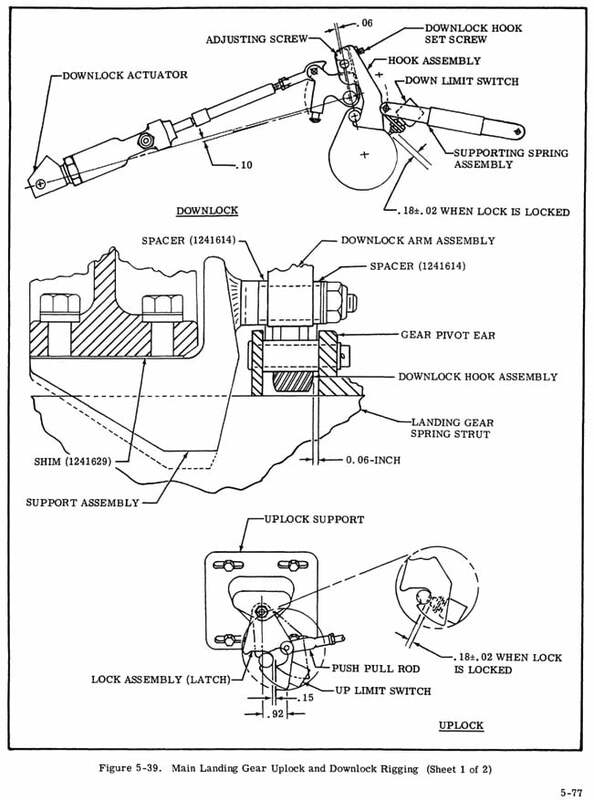 figure 5-39 Main landing gear (MLG) uplock & downlock rigging. I’ve included both sheets of this figure to show the placement of the gauges. To take actual pictures of the gauges in operation is a three handed job with no room left for the camera. To complicate matters, we’ve found some of the early 210K models are missing the access panel in the cabin floor just above the main gear downlock. There’s no mention of this in the parts catalog, and I don’t know at what point in the serial number sequence the access panel was added. Just be aware, getting the gauges and hands into the wheel well at the same time may be a challenge. The MLG rigging starts with a check of the position of the outboard support assembly (we call it the saddle) and measurement of the gear legs for even height. I would add to this that the saddle pads absolutely must be in place before going forward. The pads are thin hard rubber-like piece that are bonded to the saddle in which the round gear legs are cradled when in the down position. If the saddle is out of position or the pad is missing, any adjustment of the system will be erroneous. Also, the measurement of the main gear leg to the bottom of the wing is a critical step to ensure the gear legs aren’t bent. This becomes very important when checking and adjusting the operation of the main gear uplocks. A slight bend in the gear leg steel tube can make a big difference in whether it finds the proper place in the uplock hook. The main gear downlocks are prone to being modified. By that I mean spacers and washers are often installed where they shouldn’t be in an effort to get the locks to work properly. For this reason, these should be closely checked against the parts catalog before attempting adjustments. The most common alteration is the addition of washers under the trip bolt spacer on the downlock arm. paragraph 5-208 Rigging MLG limit switches. Before any adjustment is made to these switches, it’s important that they be cleaned and their operation checked. The plunger should move smoothly with even spring pressure. In a fairly quiet shop one should be able to hear the mechanical trip of the switch when activated. There is little or no strain relief where the wires exit the switches. A very detailed inspection of these wires for damage, weakness or exposed bare wire is a must. If all looks good, a little dab of RTV where the wires exit will add significant strength, support, and long term reliability to these expensive switches. Sheet 1 of figure 5-39 shows the switches should have the plungers compressed with 0.18” +- 0.02” when the locks are properly in place. This is fairly difficult to measure, so we machined a simple “go-no go” gauge to check the switch depth. (see picture). Figure 5-40 Nose landing gear (NLG) rigging. As mentioned in last month’s article, it’s of utmost importance for the nose gear downlock to be properly cleaned and lubricated (per the service manual instructions) prior to any operational check or rigging adjustment. paragraph 5-209 Rigging NLG. 1. The earliest versions of the nose gear actuator have an internal lock that was discontinued in the 1971 year models. The older actuators are becoming rare to find, but the newer version is an acceptable replacement according to the Cessna parts catalog. 2.As the actuator seals wear and age, they allow the internal actuator piston to ride off center and contact the cylinder walls. Once the piston contacts and scrapes the cylinder, any chance of getting a good seal are gone. Serviceable old style cylinders are almost nonexistent, and the slightly newer style isn’t much easier to find. 3.The nose gear uplock hook should fully engage. As it wears, the forward lower corner becomes rounded and will eventually allow the strut uplock bushing to drop out of the hook. One of the first signs might be tire marks on the inside of the gear doors. The gear up light in the cabin will also extinguish. 4.The hook is spring loaded in the locked position and it takes hydraulic pressure to release it. This is an important consideration if one notices any leaks in the uplock actuator. paragraph 5-211 Rigging NLG limit switches. The switch “go-no go” tool mentioned earlier will come in handy for these two adjustments. Note: If the doors were disconnected earlier, they can be reconnected as they are rigged. No need to connect all of them at once unless you just want to. paragraph 5-207 Rigging MLG wheel and strut doors. Each door actuator has internal mechanical stops or travel limits. When the doors are open, the door actuators operate to their internal limits, and there’s no travel resistance given by the doors. However, in the door closed position, the doors can make contact with the wheel wells and stop the travel of the door actuators before the internal limits are made. In this case, there will be constant excessive pressure applied to the doors, fittings and hinges while closed. The optimum is for the door rods to be adjusted such that their internal travel limits are achieved at the same time the doors make full contact with the wheel wells. This will keep the doors closed with minimal stress. Be sure the landing gear clears all the doors by the minimum 0.5” when all is done. paragraph 5-210 rigging NLG doors. As with the main gear doors, these should be adjusted for minimum stress when closed. It’s easiest to achieve by leaving one door disconnected while adjusting the other, allowing observation of the full operation. The final check is for a minimum of 0.25” clearance between the nose gear and the doors during operation. paragraph 5-127 Bleeding aircraft hydraulic system. This has nothing to do with the wheel brake system. 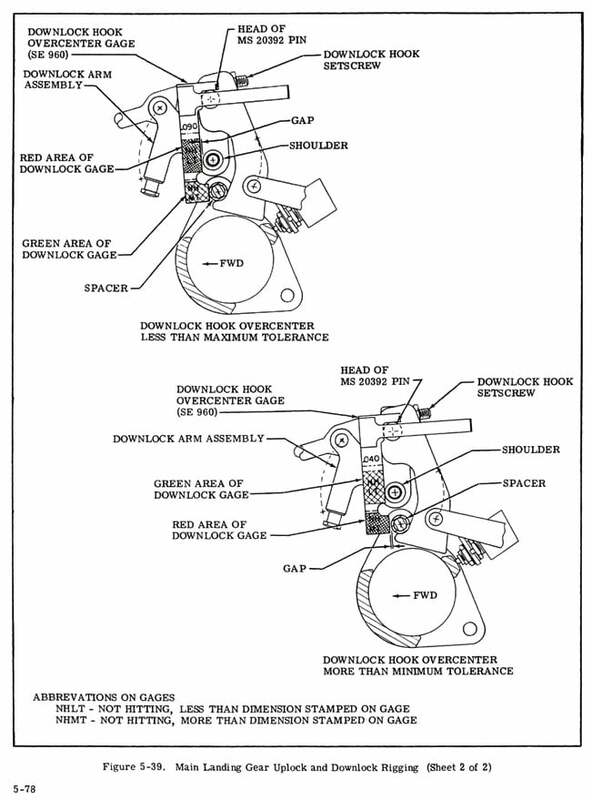 The brake hydraulics are totally separate from the retraction hydraulics. While both systems use the same Mil spec type fluid, they do not share the fluid in the plane. Bleeding is usually only needed after system maintenance or if the reservoir fluid level is allowed to go below minimum. 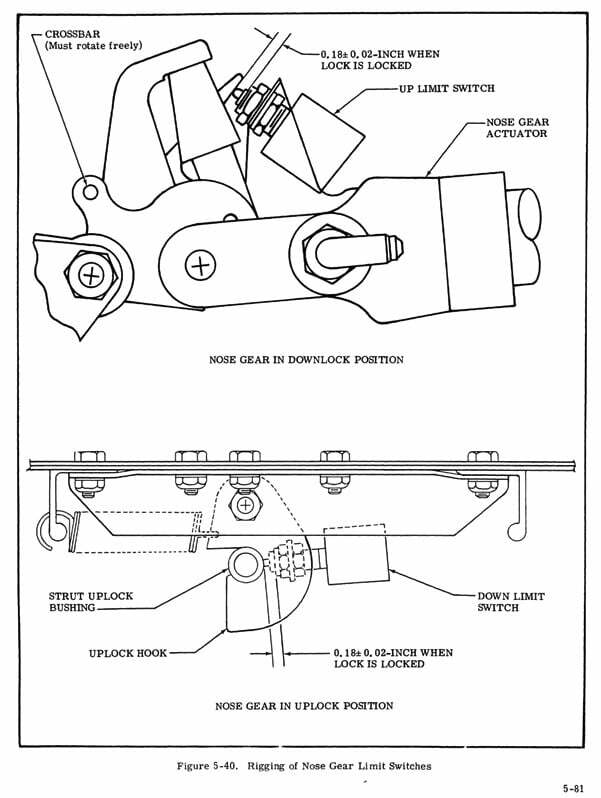 paragraph 5-16 & 5-17 Main gear actuator snubber operation through s/n 210-61039 (end of 1975 210L). It’s very rare to make any adjustments to the snubbers. Their function is to slow the movement of the gear legs at the very end of travel, preventing them from “slapping” into the uplocks. Unfortunately, there’s no real description of how much snubbing is correct. My reference is from years of watching 210 gear system retractions, and I can only describe is as a noticeable deceleration of the main gear leg just before it gets to the uplocks. By reading the adjustment procedure, it would seem the main objective is to get the two gear actuators snubbing equally. paragraph 5-191 System cycle time. While not truly a part of a rigging check, noting cycle time is an excellent final operational check. Doing this with a hydraulic mule in the hangar has limited value because it bypasses the aircraft’s engine driven hydraulic pump. Timing the gear up and gear down cycle times in flight and recording them is very valuable for trend monitoring of the complete systems operation. As the system ages and wears, the cycle time will increase. Having a good base line and knowing the rate of change is invaluable information for troubleshooting and maintenance decision making. The above sequence isn’t necessarily the only method for complete gear rigging, but it is one that works for us. There are many nuances in the gear system rigging that can’t easily be conveyed in writing, but this attempt should give everyone a head start. As always, safety is a primary concern during maintenance but becomes paramount with the plane sitting on stilts. Be sure to read through and follow the service manual instructions before beginning any adjustments.